Be driven to the top of New England and enjoy low-key mountain adventure that simply cannot be experienced anywhere else. This environment can only be found in Labrador to the far north. Take a tour of Mt. Washington’s beautiful and world famous Alpine Garden! 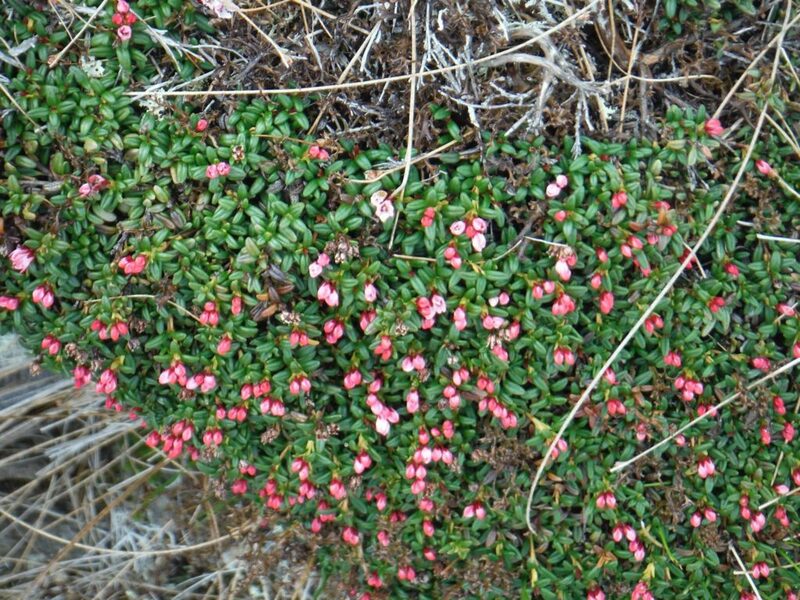 Rare plants bloom on the Northeast’s highest peak for just a few weeks every year. Learn about the ecology of the alpine zone and the history of the mountain on a full-day tour with our Redline naturalist guide, Liz Wyman. The tour will begin with being driven up the historic Auto Road in a comfortable 12-passenger van. We will then hike a spectacular 2-mile loop above treeline through the alpine garden to the Mt. Washington summit, stopping along the way to learn about the natural and cultural history of the mountain and identify alpine plants (use of guidebook also available). We will spend time exploring the summit buildings, including the Tip Top House, the Mt. Washington Observatory, the Sherman Adams Visitor Center, and the Extreme Mt. Washington Museum. Lunch is available in the summit cafeteria or pack your own picnic lunch. After relaxing at the summit and learning about Mt. Washington’s storied history, we will be driven back down the auto road, again by van. 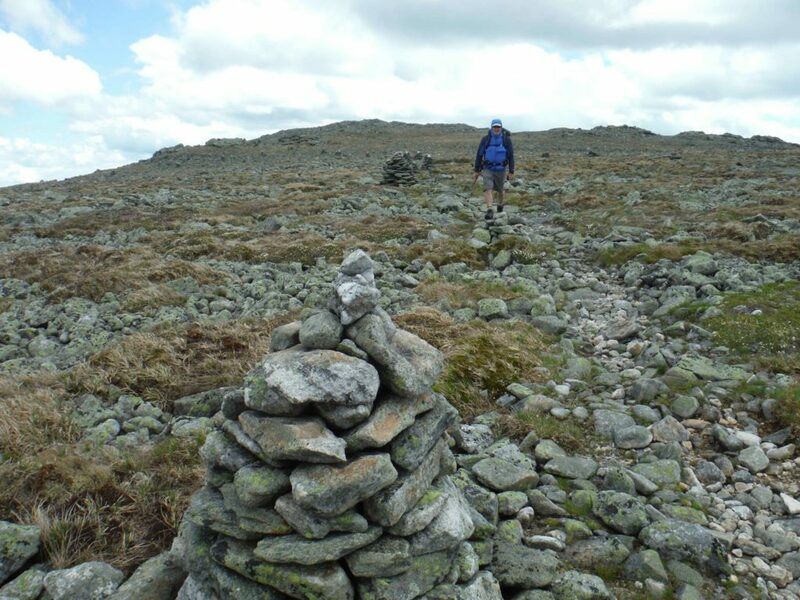 Please note that this tour will include a moderately strenuous hike on steep, uneven, and rocky terrain above treeline with unpredictable weather. Winter-like conditions and high winds are possible every month of the year. Provided the vans are running, the tour will run rain or shine so dress appropriately with warm, approved layers (no cotton), rain gear, hat, and gloves, and wear good well-treaded hiking shoes or boots. Also bring a pack with a headlamp/flashlight, sun protection, snacks, and at least a quart of water. Trekking poles are also strongly recommended. Rental gear is also available, if needed. Cost: $149 per person (including round-trip transportation up and down the mountain by van, a $62 value). To book, choose “Nature Tour (Full Day)” from the menu on our form and choose June 10. (Please note that preregistration is required and space is limited.) We look forward to sharing the ecology and history of this unique mountain with you! Book now to start. REGISTRATIONS CLOSED. Delicate and extremely tough alpine flowers. Many species thrive here.